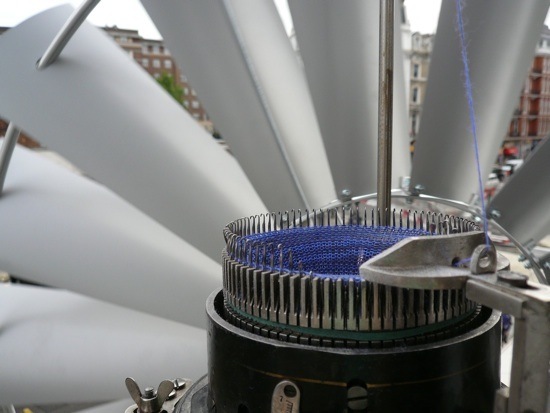 “The machine visualizes directly what you can produce with the present amount of urban wind,” she says. 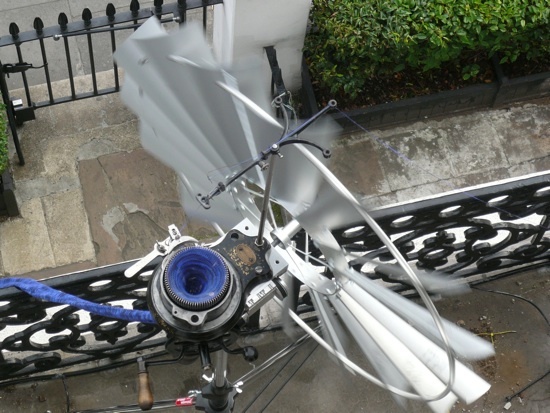 The Wind Knitting Machine is fairly simple, with a 4-foot metal windmill attached to an industrial loom. When it was originally installed at the Royal College of Art, Karhof cut the material at regular intervals; on each scarf that resulted, she printed the time it took to make–since that varied with the wind strength–and the date it was created.